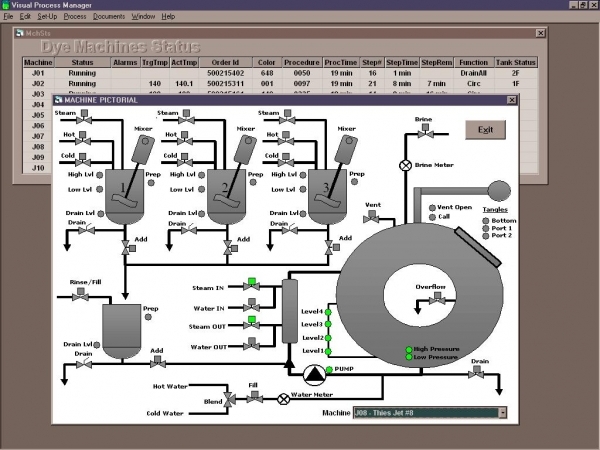 Textile System Controls | SPEC, Inc.
SPEC, Inc. specializes in dye house management and control systems. Our systems can improve quality, reduce costs and maximize profits. SPEC can provide all aspects of the project, both hardware and software. Our systems are designed by our team of engineers and designed to work in harmony. We design control panels and consoles to use off the shelf hardware components to provide our customers an easy and convenient replacement if needed. Everything is designed for harsh environments, fault tolerance, and long service life. After your new equipment is designed, constructed and tested, we provide full installation support. Our highly technical field engineers will provide you with on-site training during start-up to insure smooth operation.